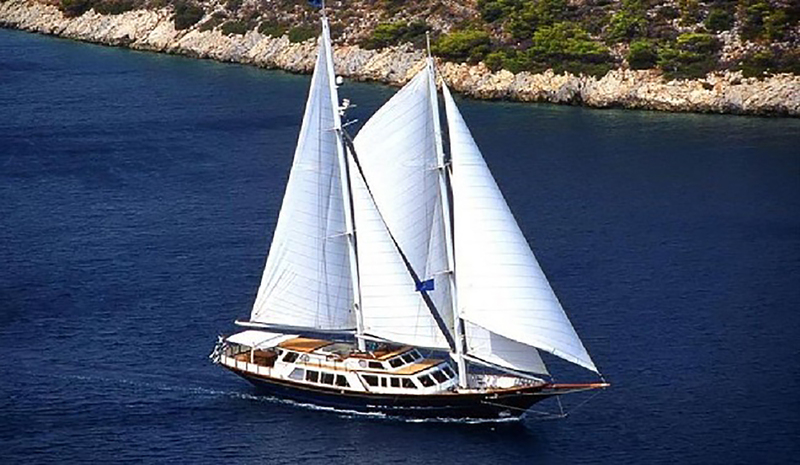 ALTHEA is a 37,50m (123’) classic sailing yacht launched in 1993 in Greece by Link Line Ltd., Piraeus and tastefully refitted in 2015, offering beautiful interiors by Andrew Winch Designs and lovely deck spaces for unique and relaxing charter vacations, serviced by a crew of 6. 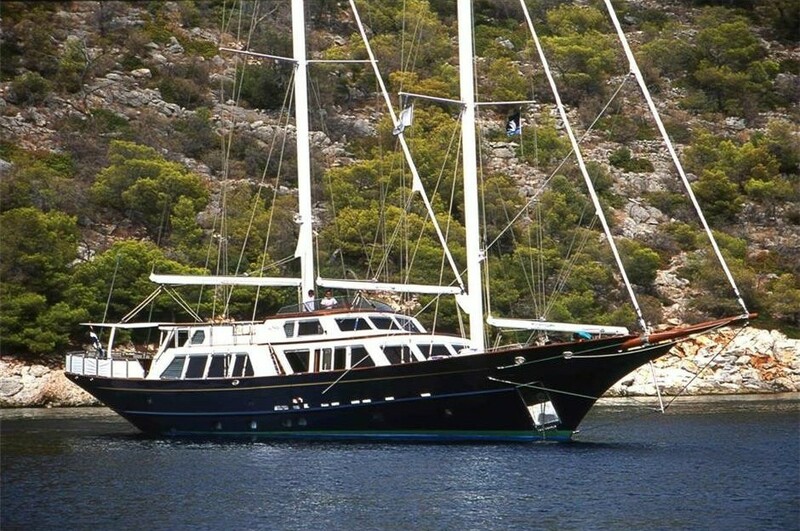 Accommodation is offered to up to eleven charter guests spreading over five cabins. On the main deck aft the formal dining area seats up to eight guests and is shaded by a canvas for all-day dining in all but the worst weather. 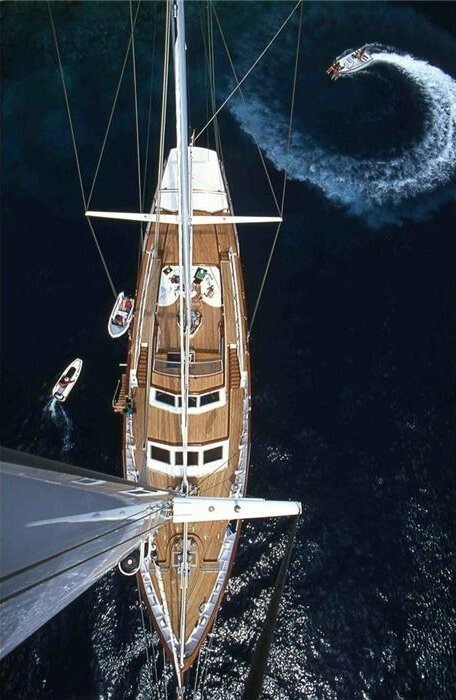 The foredeck is used to store the tenders and when there are on the water there is plenty of room for sunbathing or observation. 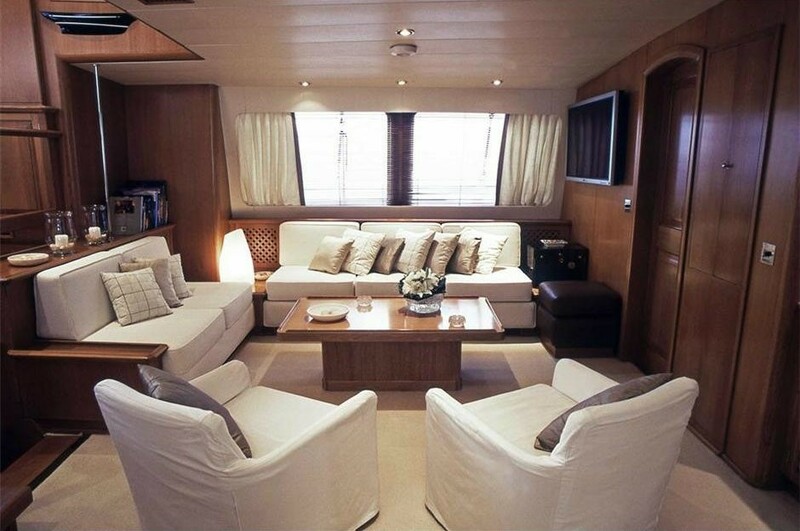 On the flybridge, there is a dedicated alfresco lounge with a drinks table and sumptuous curved sofa to the aft. The interiors feature timeless styling using a range of wooden panelling and white furnishings. 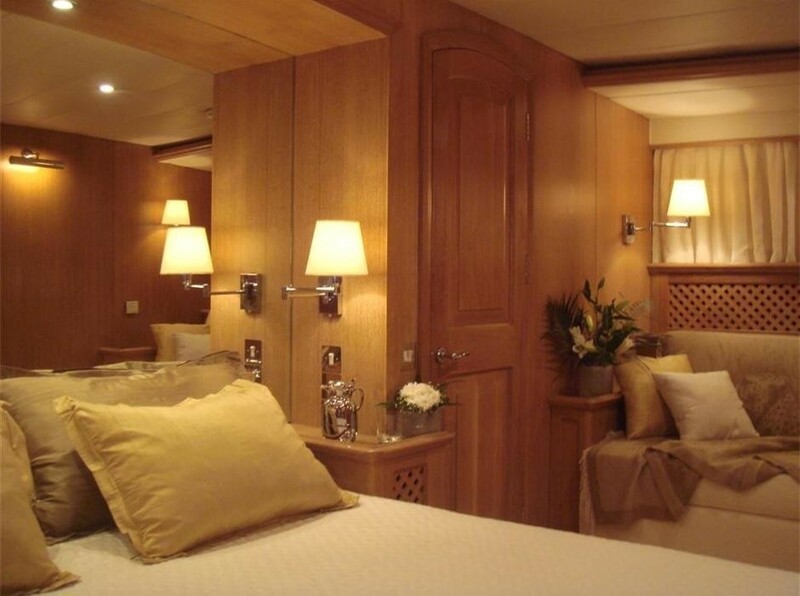 The lower deck interior contains five guest cabins, with two double cabins to the aft of the engine room, two twin cabins forward of the engine room and the Master suite farther forward. All cabins have en-suite facilities as well as air conditioning and Wi-Fi. 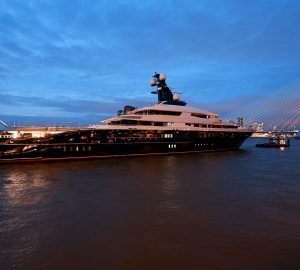 On the main deck, the formal dining area is placed forward and seats up to 10 guests, while to the aft the lounge is placed across two levels, with the large lounge on the lower level and an armchair and footstool placed close to the sliding doors. A widescreen TV on the forward wall and a games table provide the group with inside entertainments. Accommodation comprises five staterooms, including three double suites and two twins, one of which is with an additional Pullman berth. All cabins have their own ensuite bathroom facilities. Tenders & Toys: Tender, Telescopic Crane, Jet Ski, Banana, Ring, Water Ski, Fishing gear ~ Audio Visual Equipment and Deck Facilities: 2 Plasma TV, Radio, DVD/CD player.